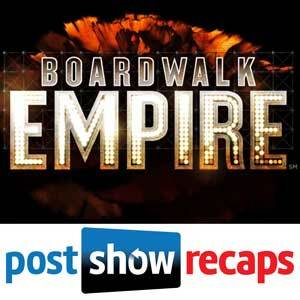 Antonio Mazzaro (@acmazzaro) and Jeremiah Panhorst (@jpanhorst) dig deeper into the season finale of HBO’s Boardwalk Empire, “Eldorado”. Was seeing Nucky’s sin of betraying Gillian on screen make this a more powerful impact to this pivotal event? Now that we have seen the Commodore’s storyline, is it safe to say he is one of the worse characters in TV history? 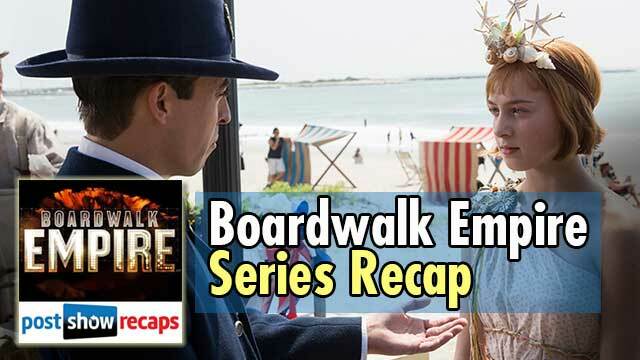 How do we feel now with the decision of having no main title sequence and Nucky not being seen in the episode until the Eldorado scene, which was about 20 minutes in? How do like the way they handled the subject that money does not always solve a problem? Both Nucky and Al Capone learn this the hard way. Terence Winter said the primitive television scene was about illustrating how much the world around Nucky has changed and he will not be part of that changing world. Do we like that explanation? Does the choice of the song “Twinkle Twinkle Little Star” directly refer to Nucky himself? Did Tommy use the $1000 that Nucky gave him to get the gun he used to kill him? What happened to Tommy when he was growing up with Julia? Do we think Nucky feels sorry for destroying 3 generations of the Darmody family? When Jimmy died we see a vision of him back in the bunkers, when Richard dies we see the image of Tommy living happily with Julia, Chalky hearing Daughter singing, and with Nucky we see him as a boy reaching for the gold, what can we take away from this? How great was Nucky and Margaret’s final scene? Do we think Nucky could have lived happily in New York, maybe with Margaret? Did the Lucky and Meyer storyline suffer the most from having a shortened end to the series? Did we like the call back to season 3 with Al Capone teaching his son boxing? Now that Nucky is dead, who gets his profits from the Mayflower Grain scheme? A whopping $2,364,120.00 which would be over 37,000,000. How great was it seeing Nucky and his father fight? Can Eli have a happy ending? Are we satisfied with the killing of Valentin Narcisse? Can Gillian ever get out of the psychiatric hospital? What became of Nelson Van Alden’s wife and children? Did Willie Thompson turn in his uncle to the feds? 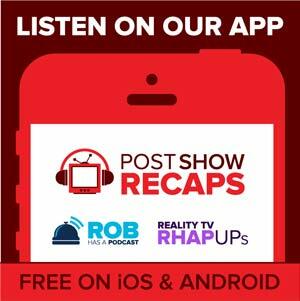 Are we still satisfied with the ending and the Tommy Darmody plot? What are some of our favorite moments in the final season? Where does Boardwalk rank among other dramas? King Neptune made frequent appearances on the boardwalk, later paired with Miss America winners. Cornelius Vanderbilt is buried in Staten Island. I don’t think anything is written on his tombstone. Terence Winter admitted that Mabel’s tombstone date was a mistake. Capone’s story basically ends with him turning himself into the authorities, as he would spend most of the ’30s in prison, then spend years suffering from dementia and other long-term effects of syphillis, before dying in 1947? After Maranzano’s murder in 1931, the Mafia families called a meeting in Chicago. The purpose of the meeting was to replace the old Sicilian Mafia regime of “boss of all bosses” and establish a rule of consensus among the crime families. Charlie Luciano established a Mafia board of directors to be known as “The Commission” to oversee all Mafia activities in the United States and serve to mediate conflicts between families. The Commission consisting of seven family bosses: the leaders of New York’s Five Families: Charlie “Lucky” Luciano, Vincent Mangano, Tommy Gagliano, Joseph Bonanno and Joe Profaci, the Chicago Outfit boss Al Capone and Buffalo family boss Stefano Magaddino. Charlie Luciano was appointed chairman of the Commission. The Commission agreed to hold meetings every five years or when they needed to discuss family problems.